Chocolate digestives are getting a special Royal Wedding edition, because why not? It's Royal Wedding week, which can only mean bizarre cash-ins and weird tat. 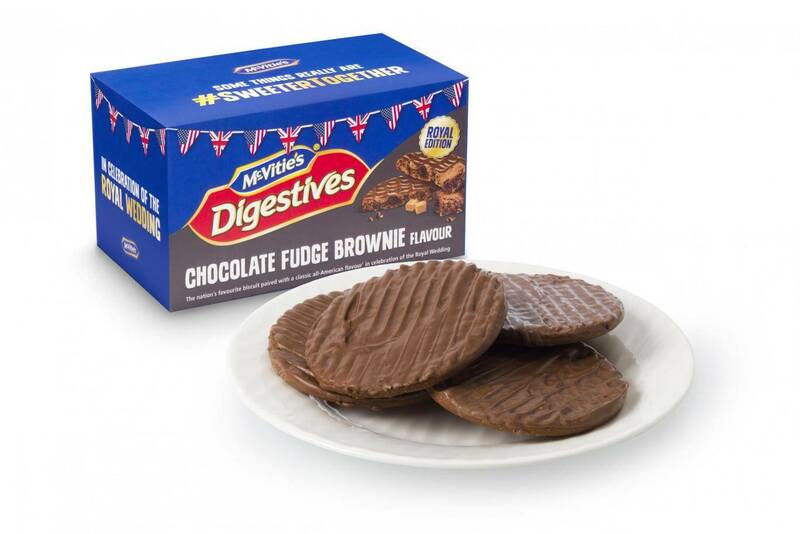 McVitie's are launching a new version of their much-loved chocolate digestives. With a Royal Wedding twist. The biscuit company is adding an American tang to their popular snack in honour of Meghan Markle. The limited edition boxes will now have fudge pieces, cocoa and brownie flavouring. The new flavour was selected after it finished top of the their Twitter poll. Other choices included Mississippi mud pie, peanut butter and jelly, and pecan pie, but we're happy with the one that won. However, there's a huge BUT. There are only 50 packs available for lucky fans to win ahead of the big day, via the McVitie’s Twitter account. McVitie's have often got into the royal spirit. In 1947, they created then-Princess Elizabeth and Phillip’s nine feet high wedding cake. In 2011, they also made Prince William’s groom cake, made of nearly 2,000 Rich Tea biscuits and 17kg of chocolate.